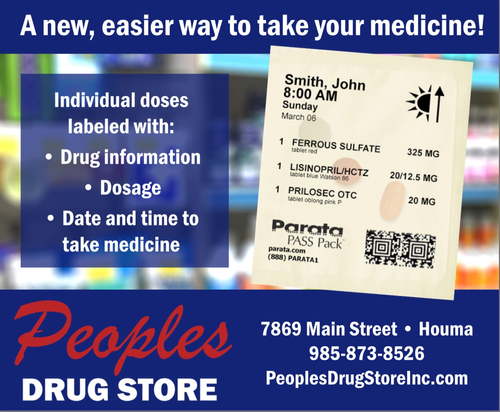 We offer a Compliance Pill Packaging that bundles your medications together by date and time. For example, all your medications that are to be taken in the morning will be packaged together in one pack. Say Goodbye to pill boxes and all of your pill bottles, and say hello to multi-dose packaging. Ask any of our staff today about our compliance pill packaging service and how you can get signed up.